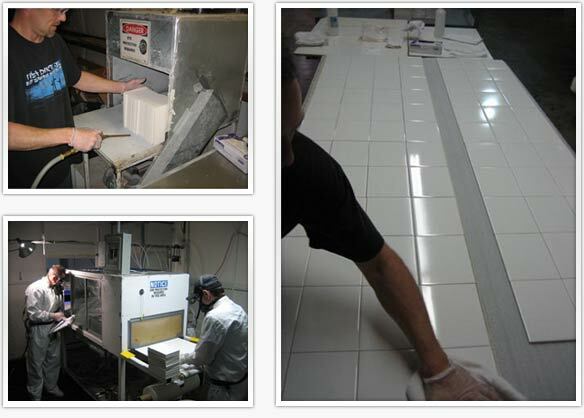 Bison Coating is the only RN Certified tile coating plant in the United States. The RN Coatings were developed by U.S. Photo Coatings and are of the highest quality for sublimation coatings. The coating line resides within the 18,000 square foot home of Bison Coating & Supply in Joplin, MO. Every tile is cleaned and prepped by hand. The polymer coating is applied in an automated spray booth to insure consistent thickness and quality. Glossy – Glossy coated tiles reproduce vivid colors and should only be used for framed art or as decorative pieces. The glossy coating is very soft and is susceptible to surface scratches if they are grouted. We do not recommend this coating in showers or backsplashes. Dura Satin – This coating is very durable and can be used in any type of interior application. The coating is waterproof and can and can be grout with non-sanded grout. Matte – This coating is our most durable. It is also waterproof and is durable enough to be used in outdoor application, but not in direct sunlight. Our glass tiles are coated with our SingleStep white backing. These glass tiles are durable enough for commercial foot traffic as the image is applied to the back of the glass and can not be scratched. 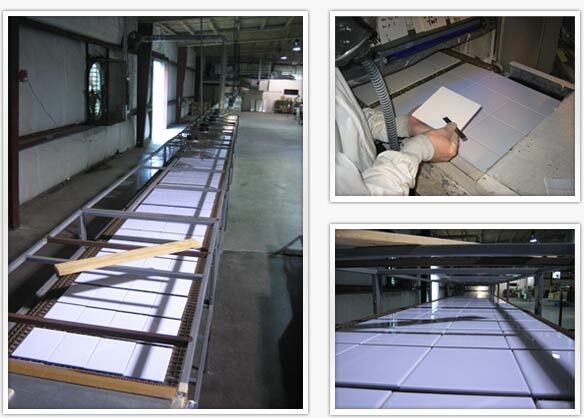 Glass tiles must be installed with a white epoxy adhesive ONLY.